Hi there! 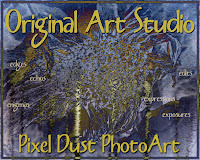 Welcome to my very first post on Pixel Dust Photo Art. You may know me better from my other blog, Original Art Studio. 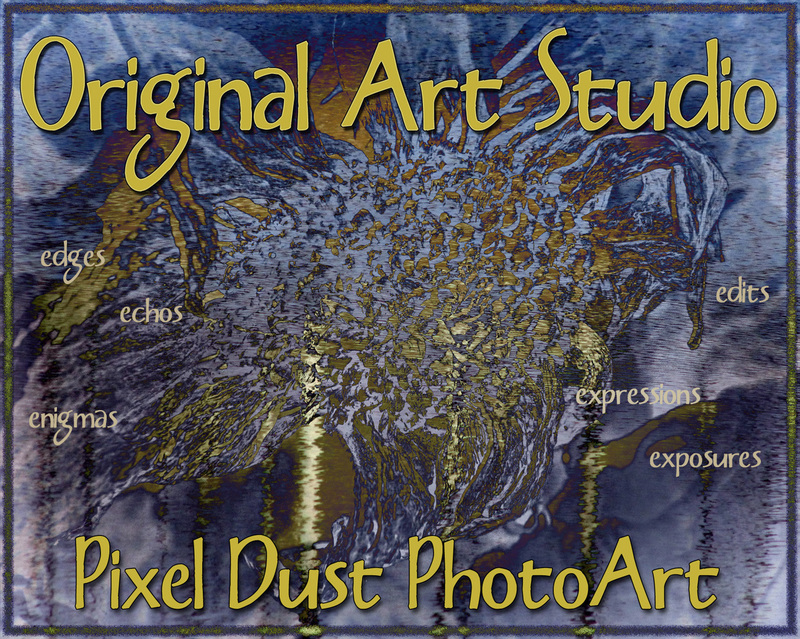 Yes, it's me, Bonnie and you may recognize the image below as the grab button on Original Art Studio. It began to feel as if I was trying to contort that blog into too many things, with too much varied content, so I decided to move most of my digital-editing posts to another blog ... and this is it! As you will notice, this blog is still under construction but I wanted to have a familiar image and a welcoming word up for any of you that discover it before I actually announce its existence. Yes, Original Art Studio will continue as usual. Hope to have some great photo-editing content posted here soon. Thank you so much for dropping by ... and don't forget to become a follower! Looking forward to seeeing more of what can be achieved with texture overlays.